Sir Hubert wooed for Marian, he thought his suit was very good; but met a German rival, that was Herr Robin Hood! 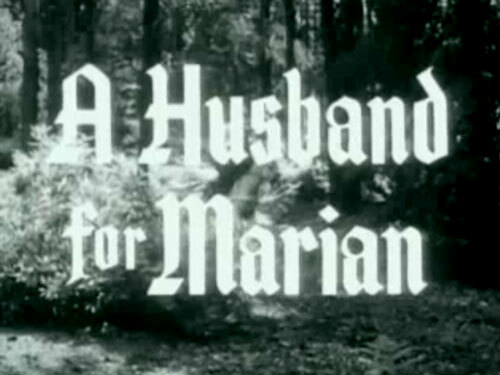 Marian’s hand is promised to Sir Hubert for helping Marian’s father, away on a crusade. Marion doesn’t like that idea, so Robin Hood dresses up as a German man who was promised Marian’s hand years before.